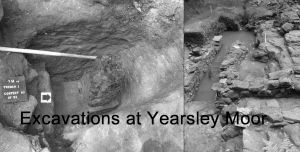 A talk has been booked for Wed 19 October at 7.30pm as a sequel to the popular talk a few years ago given by Geoff Snowdon and Elizabeth Sanderson about the excavations at Yearsley Moor. Since then digging has continued and a lot more has been unearthed. Come and hear about the latest finds.